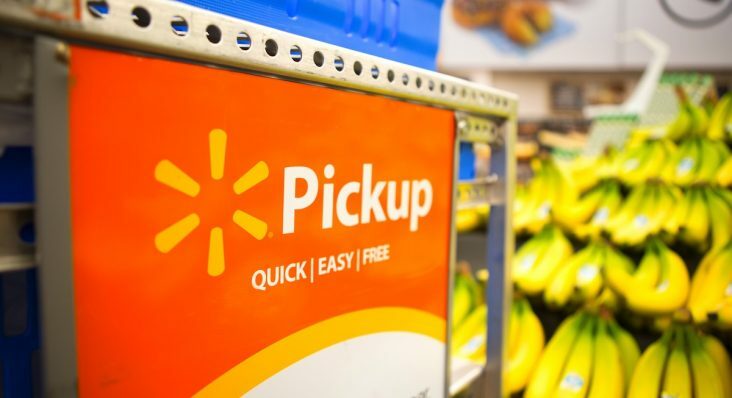 As Walmart continues to rapidly expand its online grocery pickup business, the retail giant says it’s important for suppliers to lean-in and try new strategies. “We are in this together and we can’t run a good grocery business without your items. We are constantly trying and learning new things which is crucial if we are going to win in this space longterm,” Brock McKeel, a senior director of central operations at Walmart, told suppliers Thursday (Oct. 11) at the Greater Bentonville Chamber’s WalStreet Fireside Chat session on online grocery. The room at 21C Museum in Bentonville was packed with suppliers eager to hear more about Walmart’s online grocery pickup strategy which can be a challenge to monitor from a supplier’s perspective given the lack of data available for online sales compared with brick and mortar. McKeel said Walmart is getting closer to providing better visibility into the data and he asked suppliers to be patient. He said there is a store team and a online grocery team and managing the two can have its challenges as the retailer is learning on the fly in many cases. That said, the first line of defense for suppliers is their store merchandising team. He said this team has direct contacts with the online grocery team. Whitney Cooper, eCommerce lead at Kellogg, was also on the panel. She said Walmart is being as transparent as possible with her team, and managing the online grocery business business is not a set-it and forget-it play. “It’s a detailed business. Suppliers have to be relentless in their pursuit to win in this space. … It’s not that Walmart is holding out data, they are supplying what they can, when they can do so,” Cooper said. Cooper said the success Kellogg is having is directly linked to the close work it does with its agency support on ensuring the content for online is just as effective at luring in shoppers as the pink unicorn box of cereal is for the mom shopping in-store with her 7-year-old daughter. “We make sure the in-store experience also mirrors the online experience and we have invested heavily in online content as well as leveraging in-store opportunities that feature assets like Tony the Tiger,” Cooper said. McKeel said Walmart has nearly doubled the number of stores offering online grocery pickup in a year’s time. By the end of 2018 he said Walmart will have around 2,100 stores equipped for online grocery pickup which will give 75% of U.S. households the pickup option. “This is a great way to reach all our customers,” he said. “Some say online grocery pickup is just cannibalization of our current customer base. That has not has been the case. We are picking up new customer demographics such as those with disabilities who may not can physically shop our large stores. They are popping up on our radar. We are giving them a way to shop at Walmart low prices and that’s been a big win for them.” McKeel said. He said Walmart is also servicing small businesses like daycares or bankers shopping for their break rooms. He said Walmart is not in Sam’s Club league for servicing businesses but online grocery pickup is being used by more businesses routinely because it’s convenient. Suppliers also asked McKeel what Walmart is doing to drive more impulse buys online. He said impulse can be challenging online, but the retailer is using algorithms that make item suggestions to online shoppers based on prior purchases or browsing data. He said Walmart is experimenting with showing seasonal items on its homepage where shopper land to place their orders. “We are seeing some of those items go into shopper baskets,” he said. Cooper said Kellogg has shifted its mindset from impulse to curating for occasion. She said the most important thing to be successful in online grocery pickup is getting on the shopping list. She said to better understand how Kellogg can drive its media investments they are talking about online grocery pickup in every marketing piece related to Walmart, as well as working closely with the retailer to keep growing sales online and in-store. Tracy Neal, national account manager for Paris Presents, was also on the panel at Thursday’s event. She echoed the sentiment shared by Cooper, but said presenting a category like beauty can be challenging in different shopping formats. 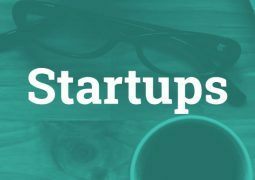 Neal said her company has been focused on elevating the online content to speak directly to consumer needs. “We also have tried to build the liaison with online grocery pickup, making the correct contact and going directly to the source. We work closely with the in-store buyer about making sure the right beauty items are placed in the right format (supercenter, neighborhood market or online). There is a lot of trial and error in the beauty realm but content is key as well as making sure the inshore buyer is working with the online grocery team to optimize the product assortment,” Neal added. Suppliers also wanted to know if Walmart was working to integrate shopping for general merchandise into the online grocery pickup trip. McKeel said while Walmart understands consumers want convenience, the retailer knows consumers have a different mindset of expectations based on what they are purchasing. He said if shopper is making a large electronics purchase that’s usually a get in quick, make the purchase and be done event. Conversely, a grocery shopping trip is more methodical and takes longer. 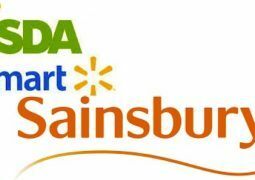 He said Walmart continually looks at veteran online operations like those at Asda in the United Kingdom better understand consumer behavior and be able to offer some general merchandise through the online grocery site. Walmart already does a booming business in online sales of general merchandise that is picked up in stores. McKeel said pickup towers for handling general merchandise are popular with customers. He said same-day pickup is also a priority for the retailer as it continues to add more stores with that capability. The retailer also continues to test delivery of grocery and general merchandise which is now available in about 400 stores. He said by the end of the year the service will be available in 700 stores as Walmart continues to leverage third-party delivery services in addition to testing its own in-house solution. Nielsen forecasts online grocery sales will capture 20% of the total grocery retail spend by 2025. That’s the equivalent of $100 billion in consumer sales. Online grocery share estimates of the total $641 billion U.S. market this year vary from 2% to 4.3%, Nielsen reports. Walmart is the nation’s largest grocery retailer with overall grocery sales comprising 56% of U.S. sales last year. Walmart does not break out its online grocery sales, but the rise in company’s e-commerce sales is directly related to the success of online grocery. A report in June 2017 from Slice Intelligence found Walmart’s online grocery pickup sales tripled from the prior year as more stores began offering the service. McKeel said Walmart customers who use grocery pickup also shop in stores and total basket sizes are rising in each format.